Each year in the spring, Haagen-Dazs celebrates ice cream season by hosting a Free Cone Day where you can get a free Haagen-Dazs ice cream cone, no purchase necessary. On Free Cone Day 2019, Haagen-Dazs offers a free kiddie size scoop of an ice cream flavor of your choosing with no purchase necessary. When you pick up your free ice cream at Haagen-Dazs, be sure to use the #HDFreeConeDay to participate in all the fun on social media. You may even impress Haagen-Dazs so much that you'll be featured on their Instagram page. 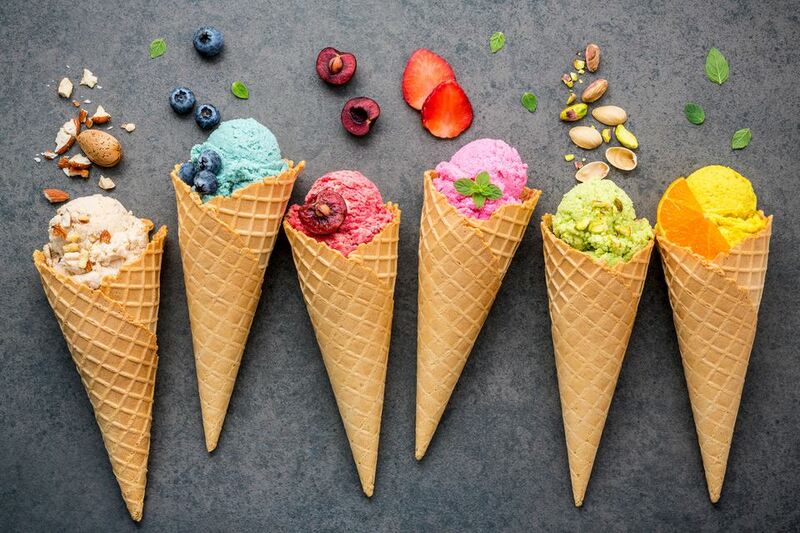 Haagen-Dazs Free Cone Day 2019 is on Tuesday, May 14 from 4:00 p.m. to 8:00 p.m. You can get one kiddie-size scoop of any of their ice creams, sorbets, and non-diary ice creams in a sugar cone, cake cone, or a cup. There are absolutely no strings attached here, except that there is a limit of one per guest. You won't need a coupon or an app download to get the free ice cream. Flavors you could see at Haagen-Dazs on their free cone day may include banana peanut butter chip, vanilla Swiss almond, bourbon praline pecan, espresso chocolate cookie crumble, cookie dough, midnight cookies and cream, chocolate peanut butter, chocolate chocolate chip, rocky road, mint chip, sea salt caramel truffle, dulce de leche, white chocolate raspberry truffle, pineapple coconut, rum raisin, raspberry sorbet, mango sorbet, lemon sorbet, and strawberry sorbet. Non-dairy options are also available. Most of the Haagen-Dazs shops are participating in the free cone day, but it's a good idea to double check if your location is part of the promotion before you head out. To find out if your local Haagen-Dazs is participating in the free cone day, you'll need to call the shop you'd like to visit. To find a Haagen-Dazs near you, visit the Haagen-Dazs shop locator on their website and make sure that the Shops box near the top right is checked. Enter your zip code and select the mile radius before you click the Search button to get a list of the local shops nearby. If you don't have a Haagen-Dazs near you, don't worry; this ice cream company isn't the only outlet who gives out free ice cream. Check out more ways you can get free ice cream cones this year, including free cone days at Ben & Jerry's and Dairy Queen. This year, Haagen-Dazs has provided another opportunity for you to get another free cone or cup of their delicious ice cream, but this one will require a purchase. You first need to download the Haagen Dazs app on iTunes or Google Play. Use it to access the Haagen-Dazs Sweet Rewards program from the app and scan it every time you make a purchase. After your first purchase, you'll get a free mini cone or cup offer in the app which you can redeem on your next visit. For each purchase you make through the app, you will acquire points that you can use toward special offers and freebies. Haagen-Dazs uses their free cone day to help promote their Haagen-Dazs loves Honey Bees Initiative. Go to their website to read more about the plight of the honey bees, find out how you can help, make a donation to help save them, and even experience a VR video that show's the world from the viewpoint of a bee. Choosing the flavors that use honey, such as Mango, Strawberry, Pineapple Coconut, and Rocky Road will help bring more awareness toward this problem.